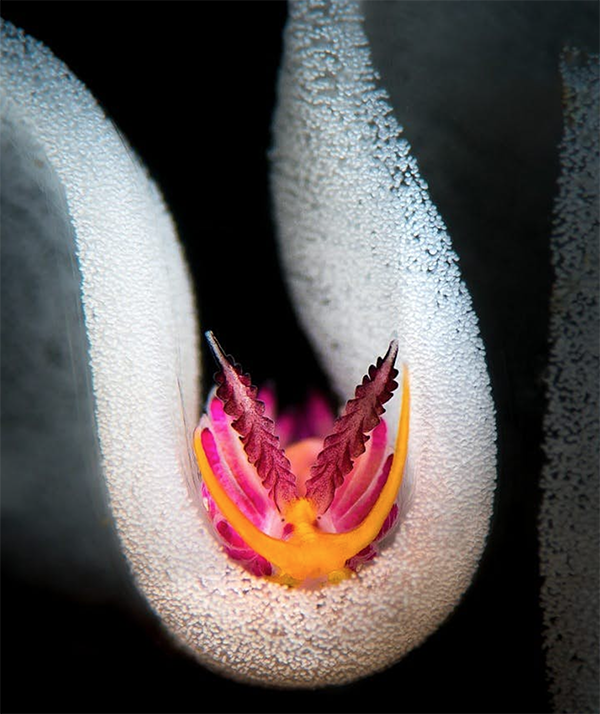 Now in its 7th year, the Ocean Art Underwater Photo Competition offers up an extraordinary collection of underwater imagery spanning everything from abstract art photography to amazing images of marine behavior. 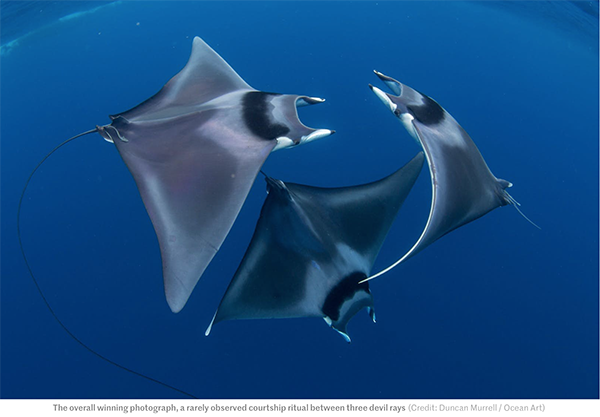 This year’s winning shot, entitled Devil Ray Ballet, captures the graceful mating behavior of spinetail devil rays. 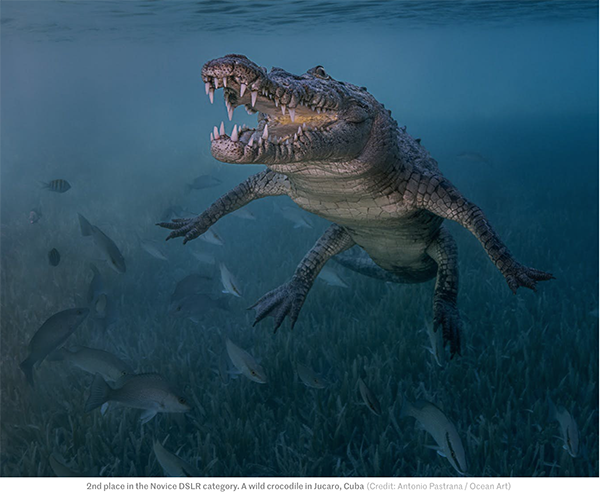 The photograph, snapped at Honda Bay in the Philippines, shows two males circling a female, in this rarely observed courtship ritual. 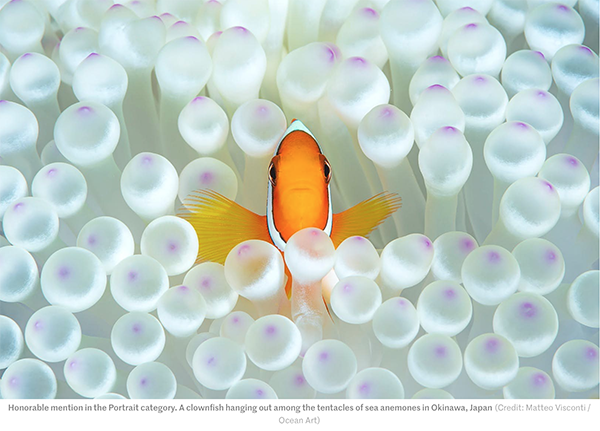 Founder of the competition Scott Gietler, and owner of Underwater Photography Guide, suggested marine behavior photography seemed to be one of the bigger photographic trends that emerged from the deluge of entries. 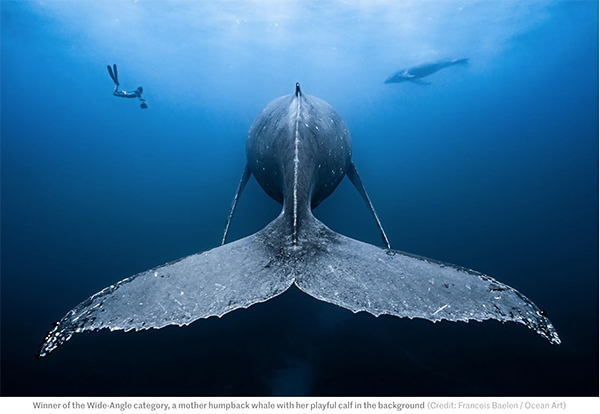 Francois Baelen’s remarkable humpback whale shot, entitled Gentle Giants, won first place in the Wide Angle category. 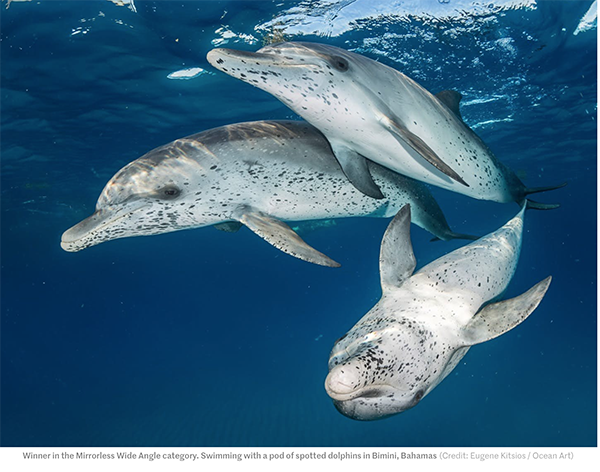 Taken at Reunion Island, Saint-Gilles, this astounding composition was all captured in camera as the mother whale in the foreground rested while her calf plays with a human diver in the background. 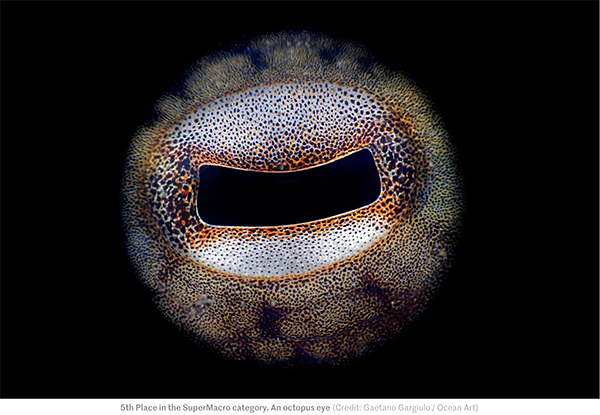 The massive photo competition spans 16 categories, including Macro and Supermacro images, alongside Marine Life Behavior, Reefscapes, and Underwater Art. From thousands of entries, a number of winners were selected, sharing over US$80,000 in prizes.